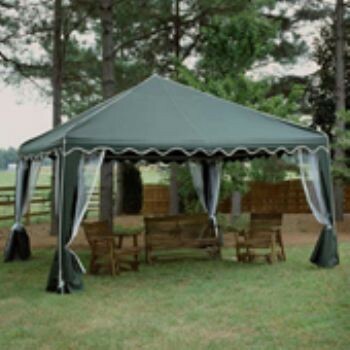 The 13' X 13' Garden Party Canopy is a great sized unit for those that need extra coverage space. This unit is fashionable enough for any space whether traditional or contemporary. The Garden Party Canopy unit is also offered in an Almond Butter color. - Center height: 9’ 3"
- Side height: 6’ 6"